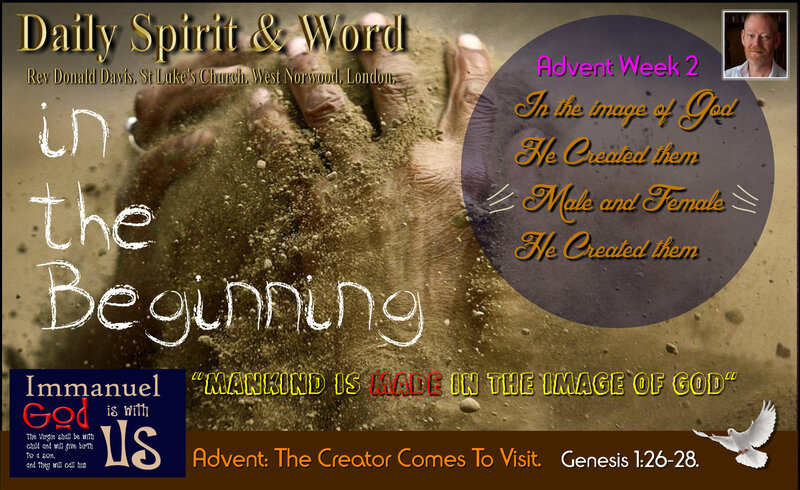 Daily Spirit & Word: 819: Mankind Is MADE by God. Don’t you just love looking at stuff and finding where about in the world it was made? Steel from China, Cheese from France or Italy, Wine from South America, Africa, Australia or Spain, Haggis from Scotland, etc… And of course Beef from Argentina. Well you can also look a Human Beings to find out where we come from too, where we were manufactured, and we’ve got the Maker’s STAMP on us too, we’re made by God and we’re made in His Image. We’re all MADE: Manufactured by God. We’re all MADE: In the Image / likeness of God. We’re all MADE: Either Male or Female. We’re all MADE: To RULE over God’s Creation. Human Beings were the ONLY Creatures made like the Creator, His purpose in making us was to rule over everything else, to tend and take care of God’s Creation for Him. I know it’s stating the obvious, but there’s some issues about this order in God’s Creation today. Some people don’t believe we’re MADE, so it is no wonder there’s all sorts of confusion about what we are to do, who we are to be. Some people even think when God knitted them together (Psalm 139) He made some mistakes. No my friends, God does not make mistakes. Each one of us is fearfully and wonderfully made by HIM. If you are a boy: Thank God for the fact that He made you a boy and didn’t make any mistakes. If you are a girl: Thank God that He made you female and that He didn’t make a mistake. He put you together just they way He wanted you to be. He put His nature withing you. He put you on this Earth for a purpose. He’s got a purpose for your life today.